Kindergarten and First Grade Pajama Story-Time! Our Kindergarten and First Grade Students gathered at the Anita Torosian Literacy and Resource Center for Chamlian's first pajama story time! 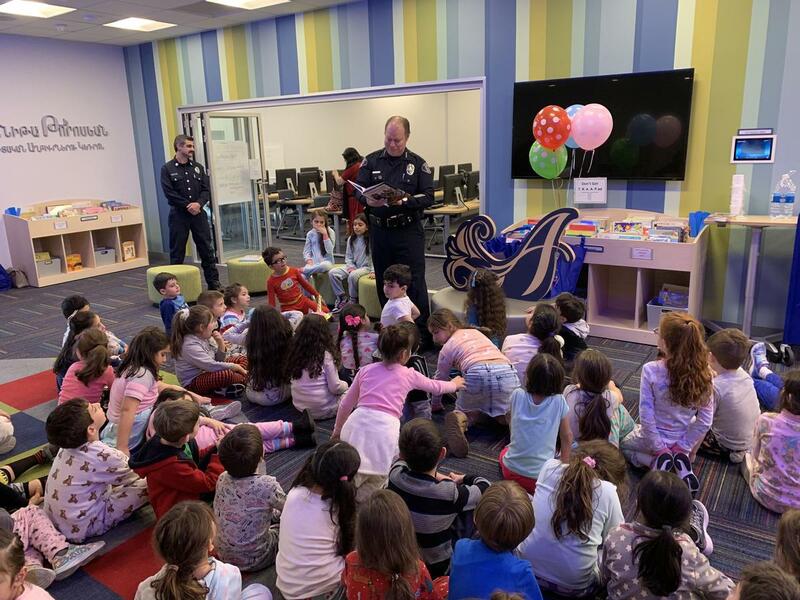 Guest readers included Glendale Police Chief, Carl Povilatis, LA County Fire Captain Peter Yaghoobov, Armenian author Aline Bezdikian-Shirajian, Fairy Meline Tovmasian, and proud parent Meri Telalyan!